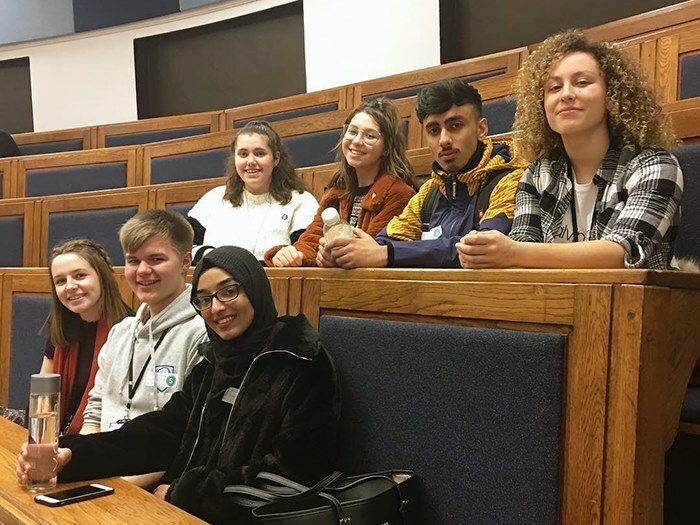 Gifted and talented students at Clarendon Sixth Form College visited one of the top universities in the country to find out more about life as an undergraduate. A-level Biology students took the trip to the University of Leeds on Wednesday 16th January to take part in a range of activities to support their progression. They toured the university and the faculty of biology’s extensive facilities. They also met current undergraduates who talked about their time at the university along with a PHD tutor who conducted a ‘study skills’ session with the students. The trip is part of Clarendon Sixth Form College’s ‘futures’ programme which puts exceptional A-level students onto a bespoke tutorial programme and provides assistance with applications to top universities. The University of Leeds is one of the leading higher education institutions in the UK and the faculty of biology has been ranked sixth in the UK for the impact of its research work. To find out more about courses at Clarendon Sixth Form College, call 0161 908 6800.